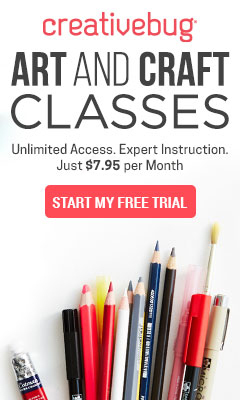 To sign up for a free trial, check out free classes and techniques or learn more about Creativebug.com and its offerings please visit www.creativebug.com. The CreativeBug classes with Marly Bird are listed below. Crochet Shawl Workshop: Learn 3 fantastic shawl patterns you will just LOVE!